Other Half isn't here today as he's taking his bike test. This will be great as he'll be home earlier from work and we'll get to have a family dinner round the table before he leaves like we used to. He'll be home at 4pm so it isn't too bad. Besides, it's Mothers Day and I am here with my 2 babies whom I adore. I got a giant card this morning in bed, a cute keyring, a retro tea towel (I asked for it!) and a nice little wall hanging, i just need to find a place for it now which shouldn't be too hard. There's just one thing. I miss my Mum. This is the first time in my life I have not been with my Mum on Mothers Day. I always loved making gifts when I was younger and creating cards at school, hiding them rather pathetically and then surprising her on Sunday morning with a breakfast in bed. As I grew up the breakfasts got bigger and better, my card making got a little more better and I was able to buy her some beautiful gifts. This time I have bought her a lovely gift which I know she will absolutely love. I don't make cards anymore but I still write a soppy something on the blank side which almost makes her cry if not blub a bit on my shoulder! I couldn't see her today because she is working, no ones fault at all but I feel like it's not right. I'll get to see her tomorrow and give her my carefully thought up gift from all of us. I know she'll love it. My Mum used to think she was not a good Mum because she had a daughter that got pregnant at 17. Well, that wasn't her fault. My Mum has been there so much for me and my siblings, just like a Mother should. I can't wait to see her tomorrow and tell her how much I love her and how much more time we need to spend together. I want memories to treasure. So many more memories. Cupcake Grandmumma did a great job as a mother. Mum to Midge and A and 'Hanny' to Will and James. 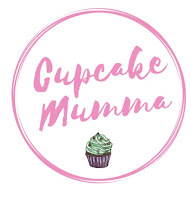 On Cupcake Mumma you will find posts on family days out, product reviews, mental health posts and general ramblings from a Kent based blended family! Find out more about us here! Pinaddicts May- Never Forget A Birthday!